Fair. Book. 12mo-over 6¾"-7¾" tall. Quite a bit of shelf wear/rubbing to the cover edges and surface, mainly on the spine, but still intact and untorn though. A tan to the page edges. Otherwise in good condition. The pages are tight and extremely clean and there are no inscriptions. The spine is crease free. All my books are carefully packed and I make every effort to despatch orders the same day. If you have any questions regarding this book please do not hesitate to ask. A photograph of the actual book is readily available upon request. Very Good. No Jacket. 12mo-over 6¾"-7¾" tall. Trans. by E.V. Rieu, in the Penguin Classics series. Spine uncreased. Good. 0140440011 1978 reprint. Prev owner's ex-libris plate on ffep. A good copy. Good. Cover ceased some stain on sides **SHIPPED FROM UK** We believe you will be completely satisfied with our quick and reliable service. All orders are dispatched as swiftly as possible! Buy with confidence! 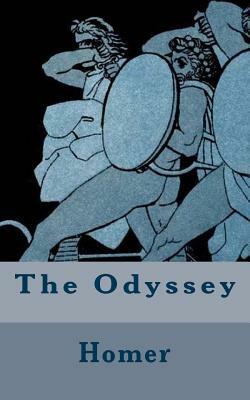 The Odyssey is the saga of the Greek hero Odysseus and his return voyage from the Trojan War. Having been away from home for many years Odysseus faces many challenges and adventures on his return journey to Ithaca. These include facing the one eyed giant called the Cyclops, the sorceress Circe, a visit to Hades, the Sirens, and the monsters Charybdis and Scylla. Upon his arrival home Odysseus defeats the suitors of his wife Penelope. The plain English prose translation by W. H. D. Rouse is the subject of this review and is highly readable. This epic story of adventure is one of the must read classics of world literature. Highly recommended. Too hard to understand. Try No Fear on Spark Notes for translation. How fabulous to listen to this well done recording. Even though the stories are so familiar, this was really gripping, and I plan on revisiting this audiobook with regularity.